You thought Super Swap Saturday might be over because it isn't Saturday anymore...but you'd be wrong! Let's finish this weekend the right way, with a Porsche 914 that has a big nasty American V8 shoved amidships offered for a decent price. 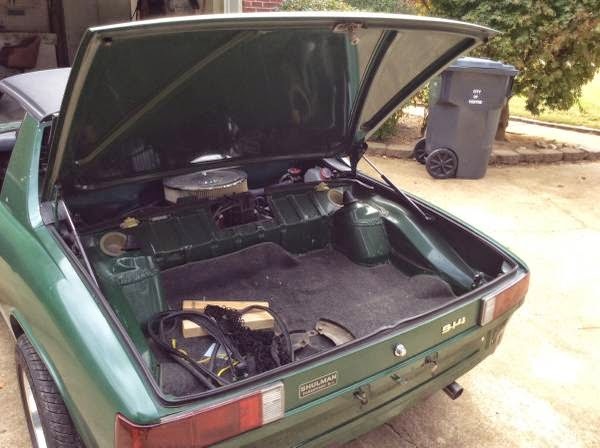 Find this 1972 Porsche 914 w/ 350 V8 offered for $6,500 in Gasden, AL via craigslist. This V8 powered Porsche 914 isn't a bad looking example, it is painted in a forest green color (probably an original Porsche color and it would be a huge bonus if that is original paint) and, aside from missing bumpers, it looks complete. The carbureted V8 Chevrolet 350 seems to be the engine of choice for 914 swappers, but plenty of folks have done it and kits exist that will help with all the adaptor pieces so you don't need to be a master craftsman. 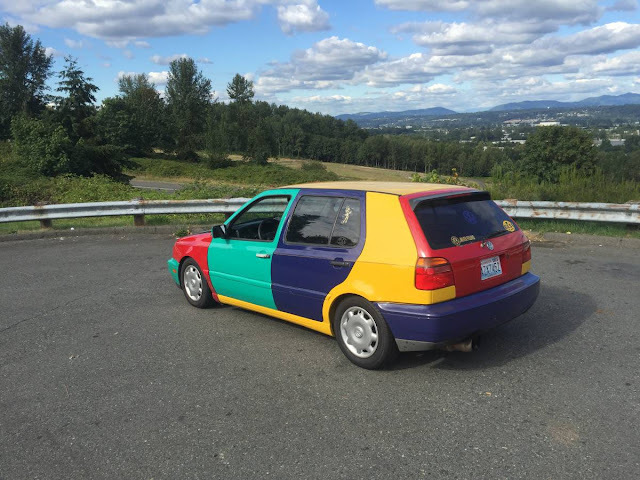 Mostly you need a good set of tools and some time, but why not get the last guy's time for free with an example like this -- because you aren't going to be able to build this car for the asking price. You know what we always say...the best money spent on any car is the previous owner's. Originally posted by DeltawingGothamDeserves on oppositelock. This has to be Nasty fun. If a SBC is awesome in a big dopey muscle car, in this would be epic. This would just spin like a top. Take you motion sickness pills and try to stay away from trees. That's in my town. I should go drive it for, you know, research and stuff..
Justin, yes please go and see this thing. We would love to hear an assessment of the swap. And of course a report on the test drive (assuming you survive). Holy smokes that is a lot of swapcarfun for that kind of money. 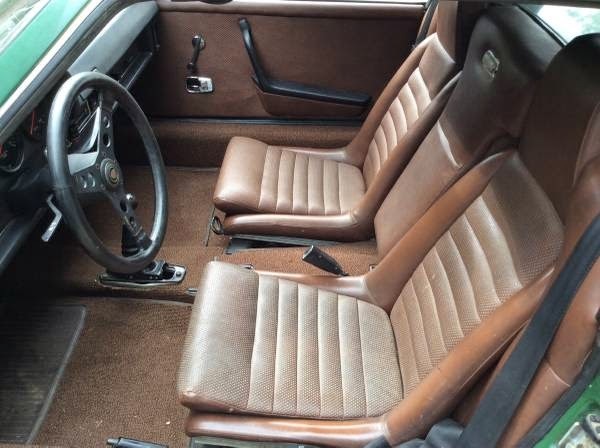 Hard enough to find a good condition 914 nowadays let alone having a fresh crate motor that isn't asking about 3x this much money having been finished to a whole top tier level. I dig this a lot and will put this on my Christmas list.